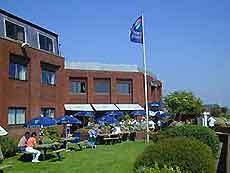 The lively harbourside resort of Poole has many exciting and interesting restaurants situated in and around the centre, particularly along the Quayside area. 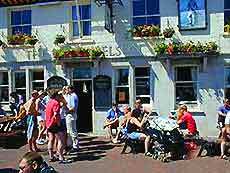 Poole has numerous popular pubs, bars and bistros, and more recently has expanded its variety of cuisine. These eateries range from basic snack bars and coffee shops, to high-class restaurants and gourmet dining venues. There are also a large number of public houses in the Poole area that serve tasty pub-grub, such as Wetherspoon, the Jolly Sailor and the Guildhall Tavern. Many of the town's eateries have superb, uninterrupted views of the harbour and often feature outside seating terraces for alfresco dining, close to the Quayside. Children and senior citizens dining out can usually be assured of some kind of discount. If you plan to eat breakfast outside of your hotel, then Poole offers a variety of options in the centre. The town's numerous coffee shops and cafés open at around 07:30, serving fresh coffee, hot chocolate, teas and a wide choice of pastries. Lunch in Poole is one of the most popular meals of the day and many local restaurants, brasseries, cafés and public houses attract people by reducing their prices during lunchtime. Lunch is generally taken between 11:30 to 14:30 and a typical lunchtime dining menu is virtually identical to the evening dinner menu, although usually much cheaper. 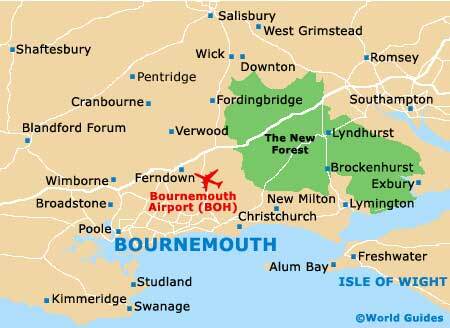 Poole offers a number of fast-food restaurants and outlets, and these provide a wide choice of food, which is ideal for picnics in nearby park and harbour areas. These eateries include burger bars, fish and chip shops, pizzas and many other local shops. Other lunchtime snacks can be purchased from the local bakeries and sandwich shops, which provide a good selection of freshly made sandwiches, baguettes, salads, pasties, sausage rolls and cakes. Poole restaurants generally open for dinner at around 18:00 and stay open until 23:30 or later, although many choose to open earlier or may actually be open throughout the day. There are so many eateries to choose from that you are almost spoilt for choice. If you are looking to combine a meal with entertainment, then consider dining at the out-of-town Tower Park leisure complex, where Georgie Porgie's Buffet World really does offer 'something for everyone', serving up English, Chinese, Indian, Italian, Mexican and Thai dishes - you simply take a plate and help yourself until you are full.